What Toys Are Safe For Sugar Gliders? 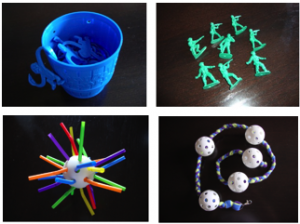 After you have set up a cage for your sugar gliders, you want to make sure to add a bunch of fun toys to make sure your glider is mentally stimulated. Gliders are naturally very curious little creatures, and they get bored easily. Keeping them stimulated with fun toys is important for enrichment, and to satisfy their curious instincts. As a responsible sugar glider owner, you are probably wondering what toys are safe to give to your sugar gliders. This article will cover some basic rules and provide some ideas to get you started. A basic rule of thumb that you can use is to look at toys and think about whether they would be safe for a baby. Anything that is safe for a baby is going to be safe for your glider as well. An obvious thing would be to avoid any toys with small parts that could be potential choking hazards. You also would not want to give your glider any toys made out of wood. If your glider were to chew on a wooden toy, it could splinter and scrape your glider’s mouth. Another type of toy that can be hazardous is cat toys, because catnip is believed to be toxic to gliders. Not all cat toys have catnip, so just be sure to check if you have one that you want to give to your glider. If you want to get toys at a pet store, bird toys are usually safe and easy to find. Baby and toddler toys also work well and are easy to find at your local toy store. You can get a variety of toys and see what your glider is interested in. Some classic children’s toys that gliders usually find interesting are barrel of monkeys and toy soldiers. You can hang the monkeys from the cage bars for your glider to pick up. One of the funniest things is catching your glider carrying off a monkey in its tail and taking it into their pouch. It is also fun to turn it into a DIY project and make your own toys. You can do something as simple as cutting up straws and small squares of fleece and putting them in a basket for your glider to forage. A lot of people hide treats in little plastic easter eggs and throw those into the basket for a good challenge. Foraging is a natural instinct for gliders, so creating a little toy box they can forage in is a very enriching toy. Another homemade toy that is pretty easy to make is a fleece rope. You just cut out three long strips of fleece and braid them to form a rope. To take it a step further, string a few wiffle balls along the braided rope. These make great climbing vines that you can hang in the cage or in a glider-proofed room. Study how gliders behave in the wild and provide enriching activities that stimulate their natural instincts. The more stimulated your glider are, the better. Keeping them active and happy is important for their overall health and well-being. Another way to ensure that your gliders stay entertained is to rotate new toys in at regular intervals. This is a good way to prevent them from getting bored. Remember, they are a lot like toddlers and get bored easily due to their inherently curious nature. Rotating toys also gives you a good chance to clean them. Hopefully you got a few good ideas and can find some awesome toys to keep your glider stimulated. It’s really fun to make toys yourself, but you can also find great toys at your local pet store or toy store. The best part is watching your glider play. As much as your glider will be entertained by all the new toys, you will be entertained watching them! This entry was posted in Sugar Glider Toys by Sandy Duncan. Bookmark the permalink. Hi my name is Kayla were can you get a sugar gliders for a cheap PRICE AND IN WATERLOO IL. I would first look for a reputable sugar glider breeder or rescue in your area. I’m sorry I can’t really be that helpful because I’m not familiar with the area. rescues. I’m getting 2 for 400 she lives in Vernon bc but she ships them all over the place. her name is Jamie McRae if you have Facebook. look up O My Gliders she has lots she even gets them fixed for you. 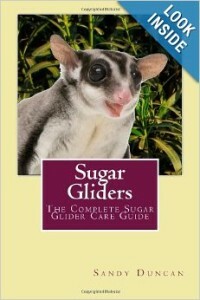 What age would people be allowed to have a sugar glider? Sugar gliders are a huge responsibility. They do not make good pets for kids unless you have a parent who is committed to helping you take care of them properly. You’ll need to be able to provide the proper environment and diet for them. Since they are nocturnal, keep in mind that they will be asleep during the day and will want to be active and play at night. If you are young and have to go to bed early and spend the day in school, a sugar glider is not going to be the best pet for you. Hi since sugar gliders are nocturnal cant you just train them to fit your schedule. No ma’am, it comes naturally to them. If you were to change it, it would more than likely anger or confuse them. You can take them out for long periods of time to play, but make sure you keep them close to you so that whenever they get sleepy, they can crawl into a pouch and or shirt of some sort and cuddle up with you and sleep. I have a question? should I handle my female glider while she is pregnant? Grace Lapointe on How Do I Bond With My Sugar Glider? Pamela Weir on How Do I Bond With My Sugar Glider? She on What Toys Are Safe For Sugar Gliders? steph on What Toys Are Safe For Sugar Gliders? © 2012 SugarGlidersAsPets.com – All rights reserved.